Designers from China, Israel, Serbia and Macedonia will participate on the fashion stage Sculptor Jivko Sedlarski with his first fashion show of metal dresses in Bulgaria The award "BG Fashion Icon", handed out by the Academy of Fashion, will be presented for the tenth consecutive year. The official award ceremony for the most stylish and successful Bulgarians will be held on 12 December at the Vitosha Park Hotel. The tenth anniversary edition of the BG Fashion Icon Award has traditionally included a stylish fashion show-spectacle in which this year’s fashion collections will be presented. The event will feature Bulgarian designers and fashion houses, winners of the Golden Needle, as well as students of Prof. Lubomir Stoykov from National Academy of Art, specialty "Fashion". 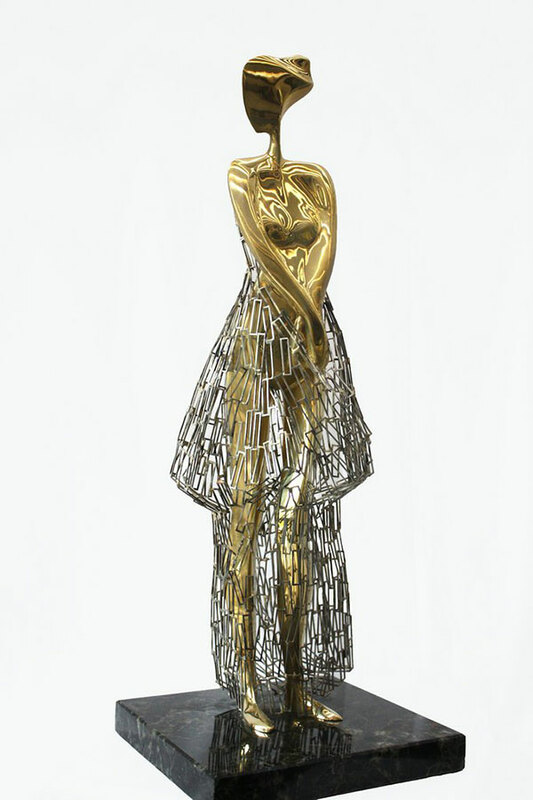 During the show for the first time in Bulgaria will be shown metal dresses - works of Bulgarian sculptor Jivko Sedlarski who is going to arrive from France specifically for the event. The Jubilee edition of BG Fashion Icon is distinguished by the strong participation of talented young designers, among whom the students have a serious international presence. The show will reveal the luxury fashion designer Desizo Monni. Among the new generation of designers who will declare their presence with independent collections during the show are: Radoslava Lazarova, Elena Zlateva, Dilyana Mateeva, Alexandra Petrova and Maria Delchev (Serbia). 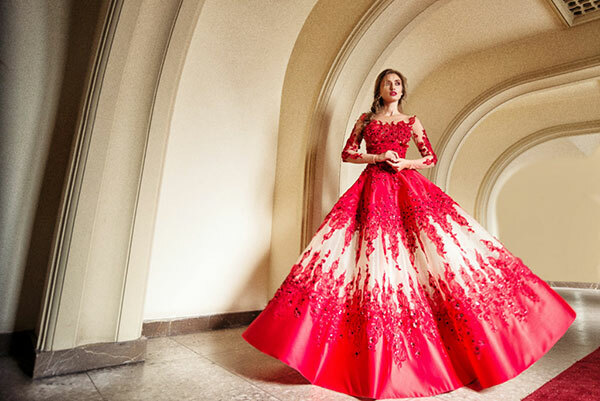 Fashion house "Blink" with designer Radoslava Lazarova will present a formal women’s collection called Womanity Prom, inspired by the beauty of exotic birds, architecture and natural phenomena. Dilyana Mateeva, creator of the fashion brand Art.Look, which recently introduced Bulgaria for the first time at the international fashion week in Greece, will participate with her Fashion Melody collection autumn-winter 2018-2019. Winner of "Golden Needle" 2018 in the category "Best Young Designer" Elena Zlateva will present a collection influenced by the freedom of expression from the movements "Art Nouveau" and "Art Deco" with emphasis on handmade fabrics and details. The young designer Alexandra Petrova will show a collection of elegant, feminine gowns loaded with rebellious spirit embodying the change of feminine moods. Maria Delchev will present a pre-holiday mini collection for the winter season 2018 - Dare to disco, made especially for the upcoming party season. During the show of the BG Fashion Icon 2018, the Axel Hardy brand will present its first Infinite imagination collection. It is specially created for the Academy of Fashion event and includes luxury multifunctional knitwear in gold and silver for chic kenwood vision. Formal ladies' and men's fashion will be presented by the designers of fashion house "Banderol" - Nikola Karadamyanov and Desislava Damyanova. 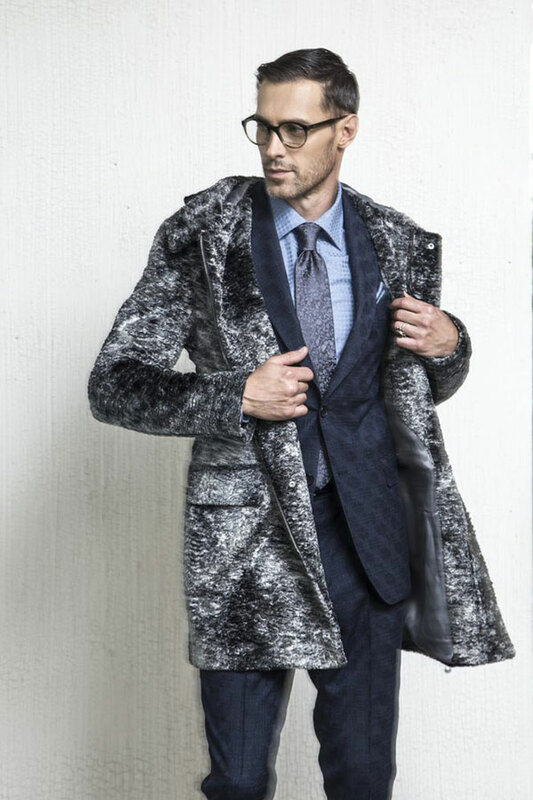 Collection 2019 of the design tandem includes prom dresses with emphasis on lace and overlay ornaments, as well as men's costumes in the increasingly preferred sport-elegant cuts. Golden Needle winner Hristo Chuchev will close the show with his latest designer jewelry offerings from his official collection for 2019. Special guests of the event will be other Golden Needle winners, who will present an outfit: Yoanna Zhekova, Ivan Donev, Mariela Gemisheva, Vyara Georgieva, Teodora Spassova, Antonia Yordanova, Megi Petkova and Nikolay Bozhilov. Among the students of Prof. Lubomir Stoykov of the National Academy of Art, specializing in fashion, who will present their works are: Tao Qingyu (China), Rima Yunis (Israel), Irina Matov (Serbia), Ivana Stamenov (Serbia), David Stoyanovski (Macedonia), Siana Ivanova, Lora Lilova, Lydia Hristova, Stamena Konstantinova and Inanch Nedjibova. Host of"BG Fashion Icon 2018" will be the charming Geri Doncheva. The preparation and choreography of the show was entrusted to Boyan Karaivanov. The make-up will be made by “Golden Needle 2018" winner Marina Mladenova in the category "Fashion make-up artist" with her team which will take care of the make-up of the mannequins. The hairstyles will be made by Niki Tonev and Hair Box beauty salon. "BG Fashion Icon 2018" is realized with the kind cooperation of: "Kimbo" coffee, "Vitosha Park Hotel", "A1", "Citroen", "Agressia", "Nedelya", "Rai Catering" and others. 1. Sculpture of Jivko Sedlarski - Andromeda Stainless Steel, Brass 2016 H-55 cm. 2. Outfit from Autumn-Winter Collection 2018/19 by Desizo Monni / Photo: © Kostadin Krastev-Koko. 3. Sanya Borisova with dress of fashion house "Blink" with designer Radoslava Lazarova / Photo: © Ivomir Peshev. 4. Outfit of the designer Elena Zlateva / Photo: © Dilyana Florentin. 5. Diana Ivancheva with an official dress of the designer Hristo Chuchev / Photo: © Kostadin Krastev-Koko. 6. Outfit from Fashion Melody collection with designer Dilyana Mateeva / Photo: © Omi Chowdhury. 8. Outfit of Maria Delchev / Photo: © MODA magazine. 9. Dress and costume of Banderol fashion house from official collection 2019 / Photo: © Latinka Petrina for Banderol. 10. Dress and costume of Banderol fashion house from official collection 2019 / Photo: © Latinka Petrina for Banderol. 11. Axel Hardy's Outfit / Photo: © Neno Valkovski.